In May 2016, adventurer Noel Hanna will set off on an ambitious adventure to do the impossible – and you can go with him! Mount Everest – 8848m (highest in the world) – border between Tibet and Nepal, it is known as Chomolungma, “Mother Goddess of the Universe”, Everest will be the second summit on the route. 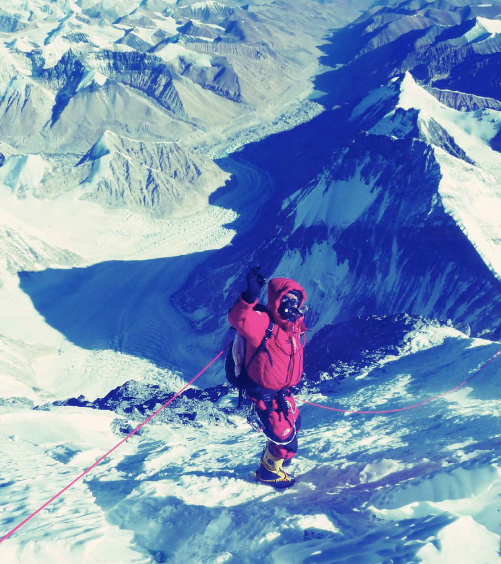 Lhotse – 8516m (4th highest in the world) – this peak is connected to Everest via the South Col and will be summited third. Cho Oyu – 8201m (6th highest in the world) – known as “The Turquoise Goddess”, this peak will first on the route. Manaslu – 8154 m (8th highest in the world) – the name means “Mountain of the Spirit”, Manaslu will be the final peak on the route. Noel’s journey is going to be in tense and his story will be nothing short of EPIC! WHAT IS NOEL UP AGAINST? Apart from racing against time, Noel will be facing extreme weather conditions (with winds up to 200mph and temperatures as low as -60˚ C) while putting his body and mind through stamina and endurance that is beyond what is humanly possible. Noel’s adventure will be tracked and recorded by mainstream media and also, where possible, via social networks. A documentary will be packaged to share his challenge with a world audience. It will be an adventure worth following. The following list is not definitive. It is designed to present what is possible and is open to negotiation depending on what a sponsor seeks in return for their support. Read more about the sponsorship opportunities below. If you would like to discuss becoming a sponsor contact us here.